Nothing says warmth like a slowly simmering stew. Give your dinner some time and enjoy a rich, rustic cooked meal. Prepare it in a cast iron pot and let it slowly simmer to create a broad scale of flavors. Let the scents and flavors from far away countries bloom in your kitchen. When you prepare your food in a cast iron pot, it gets a tender and deep taste. 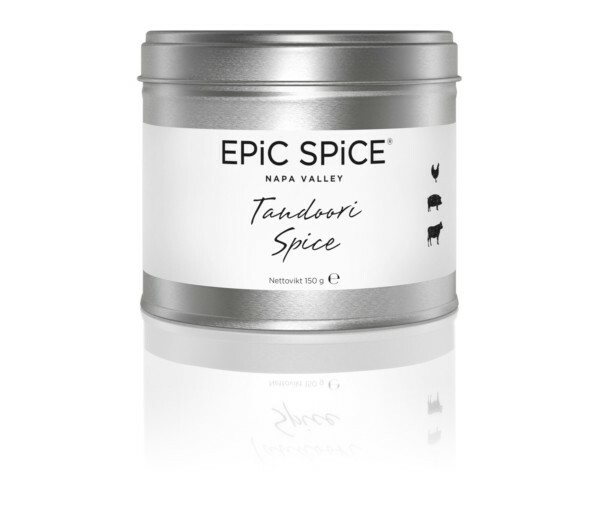 At Epic Spice you'll find spice blends for slow cooking and spices for exotic meals such as Genuine Indian Tandoori from Bombay, Roasted Lamb Rub from Lebanon, Ras el Hanout from Moroccan bazaars, the Orient awaits in a tin. Colorful heat and rich flavors México's gastronomic food scene is now on everyone's lips in the food industry. Its kitchen is wide and crackling rich with influences from the Aztecs, Mayans, Spanish and French as well as some Asian touches, through the Manila and Acapulco trade route. Try our novelty for this year; Mexican Mole, Mexico's national sauce. Mole has a complex and rich taste profile consisting of 21 different spices incl. chocolate and locally sourced nuts which create the authentic mole sauce. Also, try the most beloved Argentinian Picanha topped with our chimichurri. A lovely combination of grilled meat and spicy topping. On Fridays, of course, you make your own tacos! Our Taco seasoning of pasilla chili, sun-dried tomatoes, Mexican oregano, chipotle pepper will take your Tacos to a new level all without additives and full of honest aromas directly from our farmers in Mexico! A dish native to Mexico, molé has a complex and rich flavor profile comprised of many different ingredients. This chocolaty, spicy blend is blended with 21 different spices and is perfect for making any molé dish. 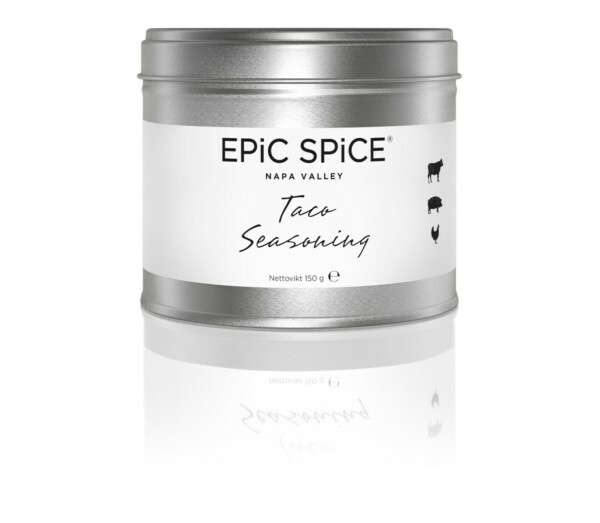 Taco Seasoning is perfect for home-made tacos and great to put on any veggies. This specialty blend is made with 13 different spices. Make authentic Mexican dishes at home with this amazing blend. This amazing spice blend adds flavor and texture to everything from grilled meats to simple vegetables. Tastes great when added to pork, chicken, or turkey meat. The Roast Lamb Rub is made with shallots, mustard, rosemary, lemon, black pepper, salt, garlic, oregano, chili, cloves. This rub is perfect for making roast lamb or lamb kebabs. Serve with colorful roasted vegetables. 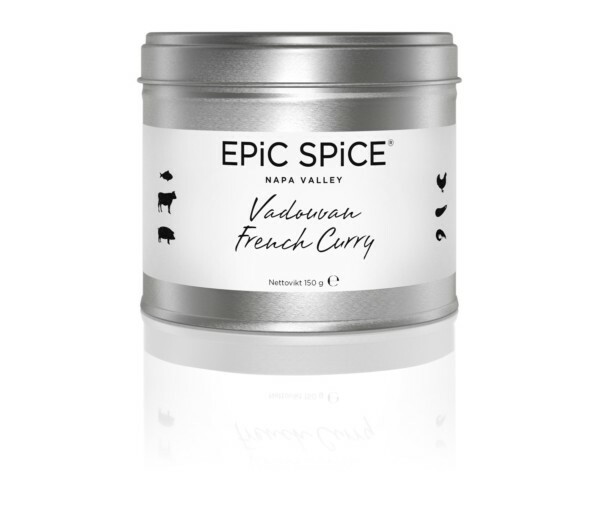 Vadouvan curries are also known as "French curries" because they're said to have originated in a French settlement in India. Vadouvan is one of the most delicate curries in Indian cooking. Ras el Hanout has a reputation of being the very pinnacle of all spice blends. The name Ras el Hanout, loosely translated, means “head of the shop” and is meant to represent the very best the spice merchant has to offer. If you have never tasted a tandoori dish, which is a signature food of India, then you are missing out on something spectacular. This unique spice rub is straight out of Bombay.